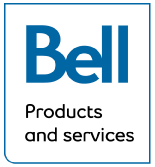 SureCall Home Cell Boosters | Wi-Com Solutions Inc. 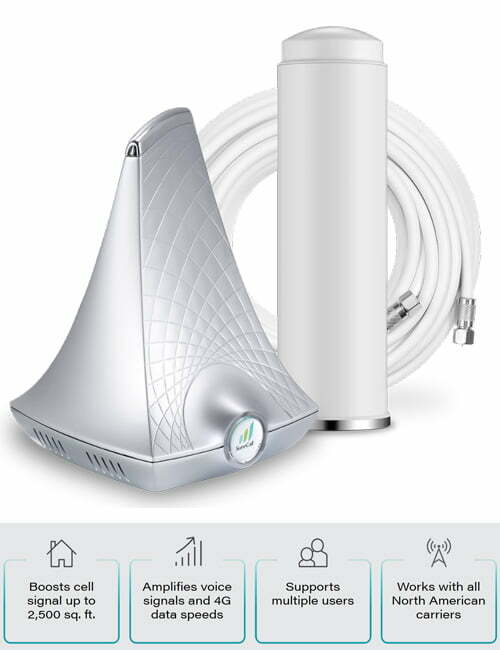 The Fusion4Home cell phone signal booster increases cellular signal strength for voice, text and 4G LTE data for all North American cell carriers, including AT&T, Verizon, Sprint and T-Mobile. Fusion4Home delivers unrivaled performance with cutting-edge technology, reducing dropped and missed calls and extending battery life for multiple simultaneous users on all cellular networks. Cellular reception weakens due to topography, building materials, structural design and distance from the cell tower. The Fusion4Home captures this outside cellular signal, boosts it and re-broadcasts that signal inside to your cellular device. 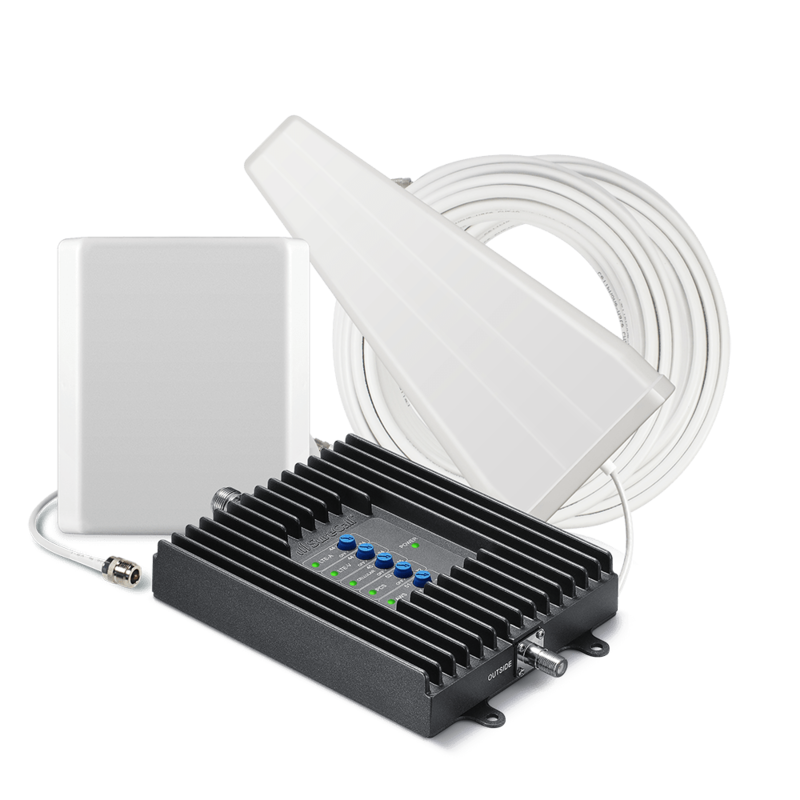 The Fusion4Home booster is bi-directional meaning signals are amplified as they travel back and forth from your device to the cell tower ensuring that you stay connected. Dropped calls are history, as the Fusion4Home provides clear and consistent coverage for all cellular devices in a home or office, up to 4,000 Sq Ft. 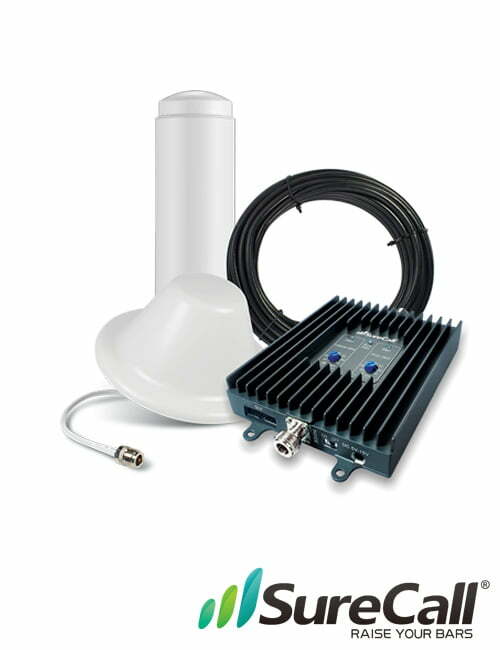 Kit includes: Fusion4Home Booster, outdoor omni-directional antenna, indoor whip antenna, 50 feet of RG-6 cable and power supply. 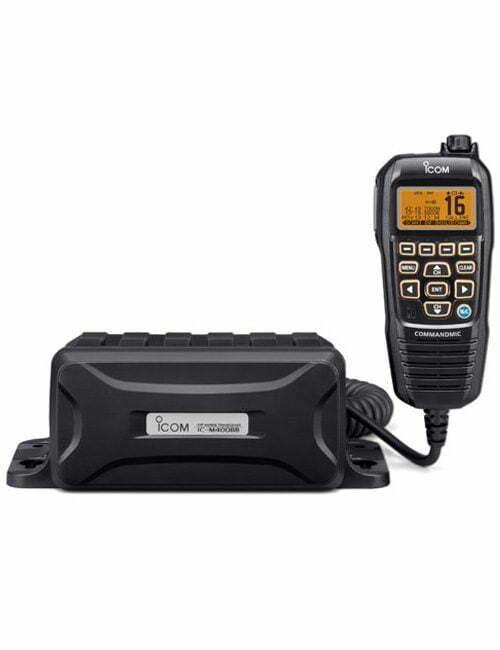 Kit includes: Fusion4Home Booster, outdoor directional Yagi antenna, indoor whip antenna, 50 feet of RG-6 cable and power supply. 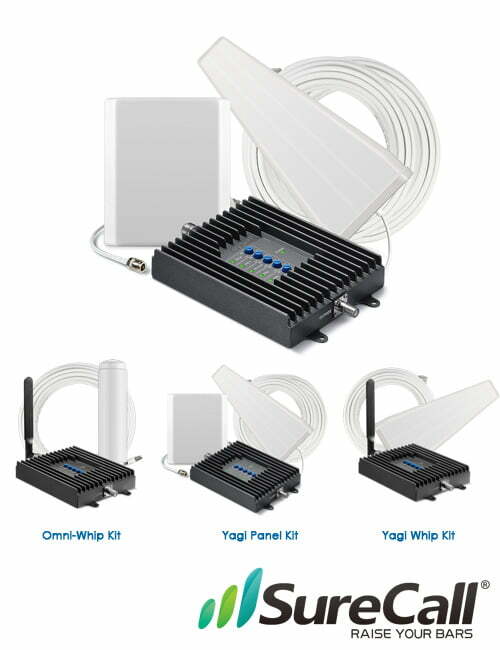 Kit includes: Fusion4Home Booster, outdoor directional Yagi antenna, indoor directional panel antenna, 50 feet of RG-6 cable, 20 feet of SC-240 cable and power supply. 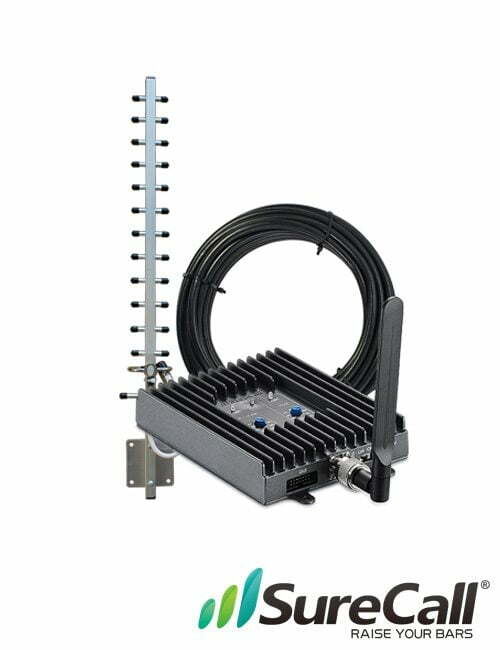 CDMA / WCDMA, GSM, EDGE, HSPA+, EVDO, LTE etc. Omni/dome antenna or Yagi/right angle antenna. The SureCall FlexPro cell phone signal booster increases cellular signal strength for voice and text for all North American cell carriers, including AT&T, Verizon, Sprint and T-Mobile. 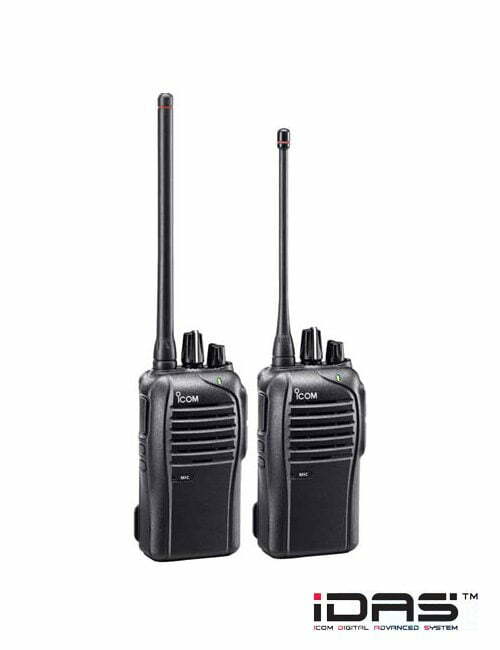 FlexPro delivers unrivaled performance with cutting-edge technology, reducing dropped and missed calls and extending battery life for multiple simultaneous users on all cellular networks. The FlexPro booster features sturdy metal construction and an industry leading 3-year warranty. 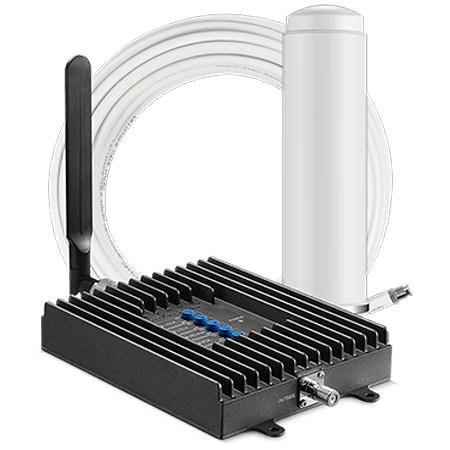 Dropped calls are history, as the FlexPro provides clear and consistent coverage for all cellular devices in a home or office, up to 6,000 sq ft.
Flare is the industry’s first cellular booster that integrates the indoor antenna and signal booster, simplifying setup and boosting signal strength up to 2,500 square feet for all North American cell carriers. 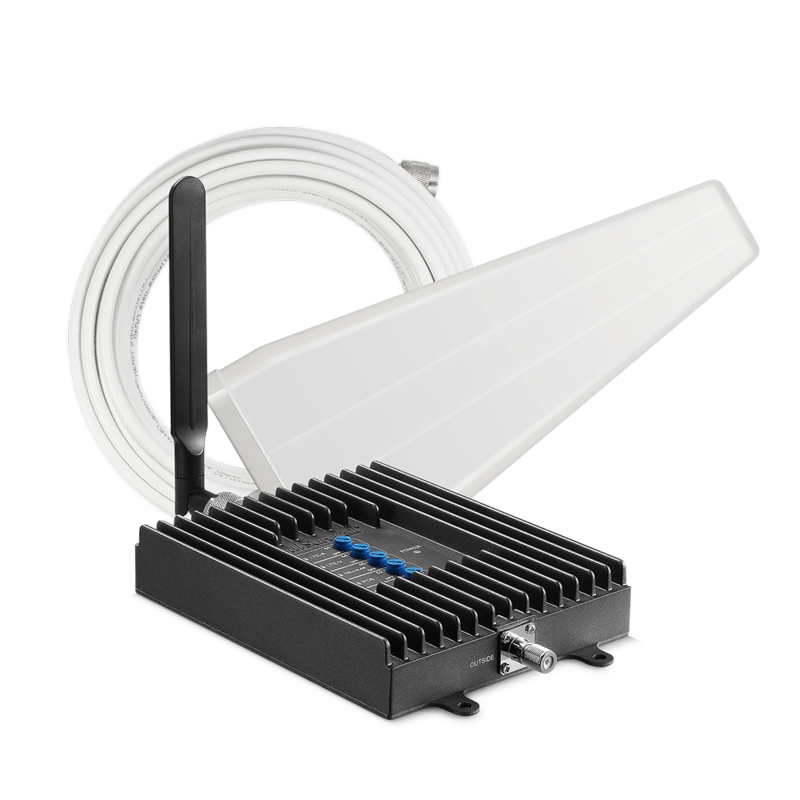 Flare’s revolutionary design features a built-in indoor omni-directional antenna that increases signal strength for voice, text and 4G LTE in 1-2 rooms of a home or office. The attractive one-piece base unit is designed to be placed on an open tabletop or shelf. Flare features SureCall’s award-winning all-carrier booster technology, reducing dropped & missed calls and improving 4G LTE data speeds. 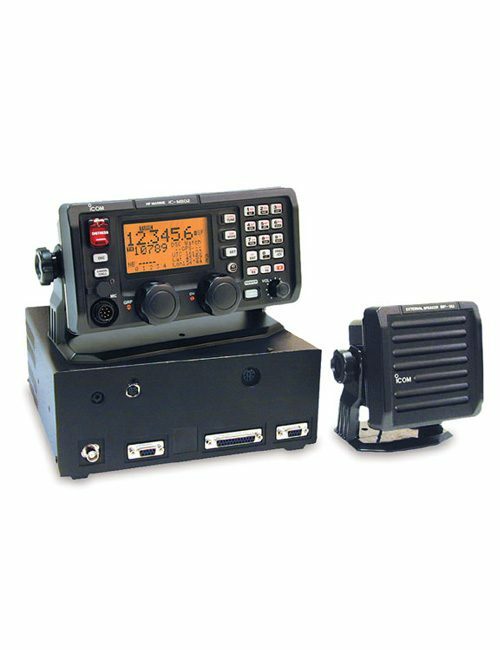 The Flare kit (part # SC-Poly-DT-O-Kit) includes an omni-directional outdoor antenna (SC-289W), 50 feet of RG-6 cable and power supply.